The team of (from left) Dustin Zhang, Eileen Smith, Charmaine Arellano-Chua and Jordan McTaggart, all Comm’18, took third place in the Champions Trophy in Auckland, N.Z. Kingston, ON – Smith School of Business scored big at one of the world’s top case competitions earlier this month. A team of Commerce students won third place in the Champions Trophy Case Competition, held Jan. 28 to Feb. 3 in Auckland, N.Z. The finish is significant because the Champions Trophy is something of a best-against-the-best contest. Only schools that finished first last year in one of 12 case competitions deemed to be the world’s most prestigious are invited to compete. This was the first time in the Champions Trophy’s 11 years that Smith got an invite. 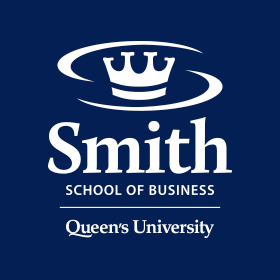 The school qualified in the fall after Smith teams belonging to the Queen’s Case Competition Union (QCCU) won two key competitions: Citi HKUST in Hong Kong and NUS in Singapore. During the week-long Champions Trophy, the Smith team of Dustin Zhang, Eileen Smith, Charmaine Arellano-Chua and Jordan McTaggart, all Comm’18, won each of their three preliminary rounds against the University of Melbourne and National University of Singapore. Those wins qualified them for the finals, where they finished third, behind first-place Wharton and second-place University of British Columbia. The Smith students who participated in the Champions Trophy “are a great representation of the strength of the case program here at Queen’s,” said Kerri Regan, Director, Queen’s Master of International Business, who accompanied the team to Auckland. The Top 3 finish is the latest in a string of successes for QCCU teams. Last year they won four international case competitions in a row. Such competitions not only “provide students with a unique opportunity to benchmark their skills against students from around the world” but also “build brand awareness for Queen’s, Smith and the Commerce program,” Kerri said.